Happy Holidays to all IABC/BC members, sponsors, and friends. I really enjoyed celebrating the season with you at last week’s networking event and meeting long-time members, new members and more. In such a fast-paced world, we often forget to look back at what we have accomplished and be proud of our projects and careers. My wish for you all is to reflect on your achievements, successes, and highlights from this year, and celebrate them as you enjoy the holidays. What do you want to be acknowledged for most this year? 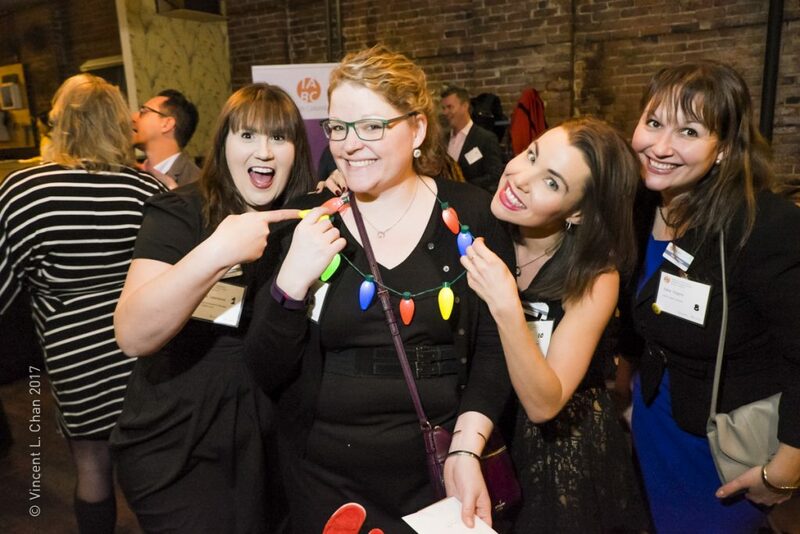 Tweet us @IABCBC so we can celebrate our member’s moments and achievements – there are so many! From winning Silver Leaf, Gold Quill or Wave Awards, or being Certified as CMP, or maybe you learned some good nuggets at one of our events like the Media Crawl, or made a new contact at a networking event that has helped you in some way. While it’s important to look back, I like to look ahead too. Before we break for the holidays at IABC/BC, here’s a preview of some big things we have coming up in 2018 to elevate your communication careers, and continue to help you connect to ideas, people and jobs. Students + New Communicators – we’re looking for you! We are growing our program offerings to support students, new communicators and we need some volunteers to help make this possible. If you are passionate about helping people who are new in their communications career, then reach out to students@iabc.bc.ca. Marketing & Communications – Join our Active Team that will sharpen your skills in this area and help promote the many programs, activities and opportunities we have going on at IABC/BC while you build your portfolio. We’re volunteer run and seeking more of you to help make our programs possible – We have high level and high skilled roles in our volunteer opportunities right now, take a look on our website and reach out to volunteers@iabc.bc.ca for questions. Even if you don’t see a role that is suited to you please let us know you’d like to get involved, we have more opportunities that have yet to be posted too! More FREE Networking for Members – We continue to look for ways to add value to your membership experience and we know you value networking – we continually hear in our survey feedback that networking is important to you, and we are listening. Now we want to offer more frequent opportunities for you to network with fellow communicators. Stay tuned for more details, and our next events as early as January 2018! We just have so much in store, and I can’t wait for 2018 to begin! It is all possible thanks to our many volunteers, from our working Board of volunteers at IABC/BC to the committees supporting all of these programs above. Now, enjoy your holidays and we’ll see you in 2018!